When you’re writing website content, you need to know the lingo. Mainly so that you ‘ll be able to write each element. But also so that you can work with a client, web designer, or simply speak with your web host to get problems solved. 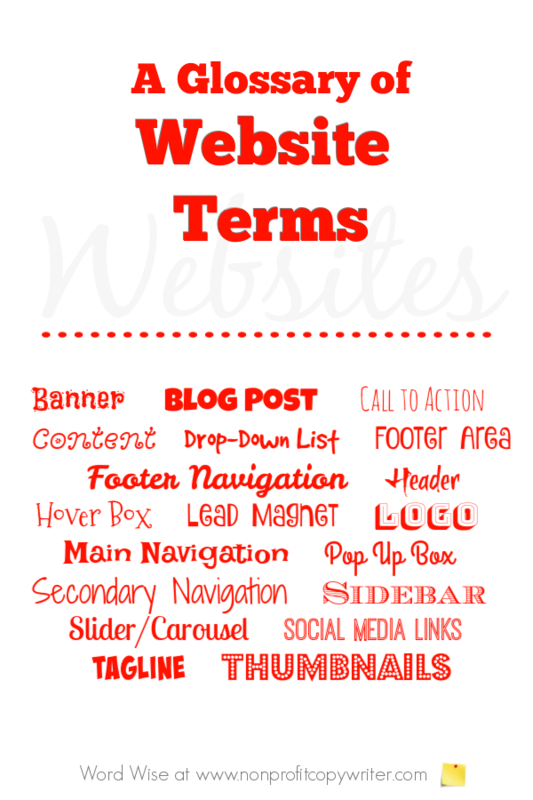 Use this glossary to get familiar with website terms. An image that can be oriented horizontally or vertically. A website banner is usually used for advertising or as an opt-in device. 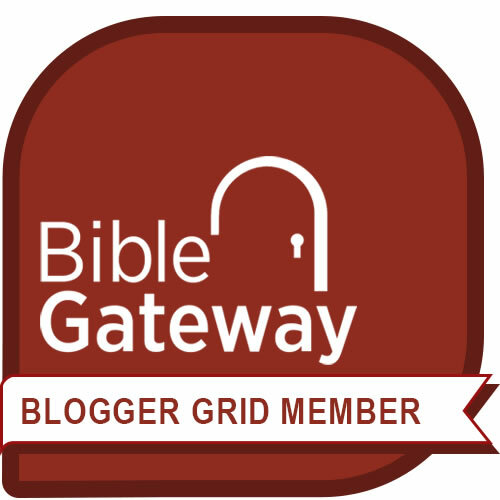 An entry on your blog, which appears in reverse chronological order. The content that tells your reader what you want them to do or the next step you want them to take. Text, images, or multimedia that make up your website’s reader experience. Also called a drop-down menu, a pull-down list, or simply “the drop down,” a drop down list is a list of links that appears when you click on a button or a text selection. The bottom section of a web page, usually part of your template. The footer is included on every page of the site. An image placed at the top of your website that includes your name, logo, and tagline. Your header may also include social media icons, a search function, and a donate button. A header is usually part of your website template and is placed on every page of your website. Also called “mouseover,” a hover box is a design function. A reader floats her computer mouse over the text or image, which triggers a link or pop up. An incentive – usually a free report or download – that website owners offer to readers in exchange for their email address. Most opt-in boxes or online newsletter sign ups offer a lead magnet. An image that identifies your brand, unique in color, font, style, and symbol. A menu or set of links that take you to key sections in the website – those areas that most readers access first. The main navigation (or primary navigation) is placed either horizontally across the top of the page or vertically along either the left or right sides. A window that appears (“pops up”) when the reader selects text or presses a special key. A menu or set of links that takes the reader to less-used or less important pages on the site. An extra piece of copy set apart from the main body of the site content, often in a box or a separate column. A rotating website banner, made up of running slides. The terms “slider” and “carousel” are often used interchangeably, but designers assure me that there are some technical and visual differences. Buttons, text, or icons placed in your site header, sidebar, and/or footer that link the reader to your social media sites. A brief, catchy phrase that summarizes a brand and used to identify it on a variety of communications. Reduced-sized images that work like an index.